Did I mention that I love styling (or more aptly, re-styling) my home every five minutes, literally? 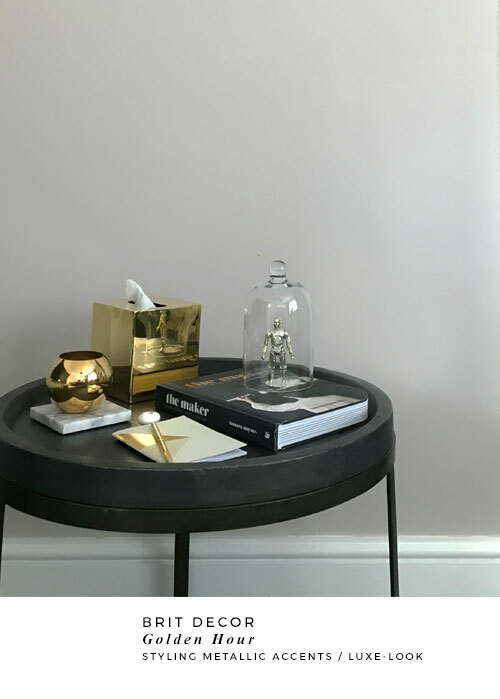 Fortunately for my bank balance I'm not talking about major redecoration projects, but merely playing around with accessories (new and old) and creating new compositions in my favourite spots around the house. This rather therapeutic exercise often occurs on weekends, when I tend to have more time. 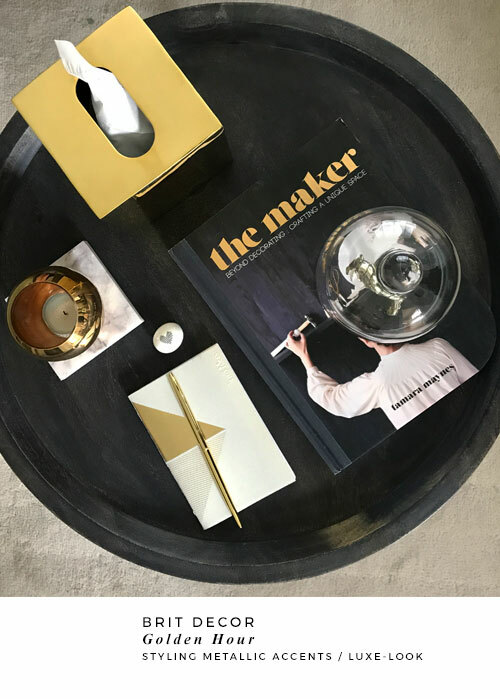 Styling and playing around with decorative objects is my creative outlet and a way of de-stressing from the frantic week behind me. 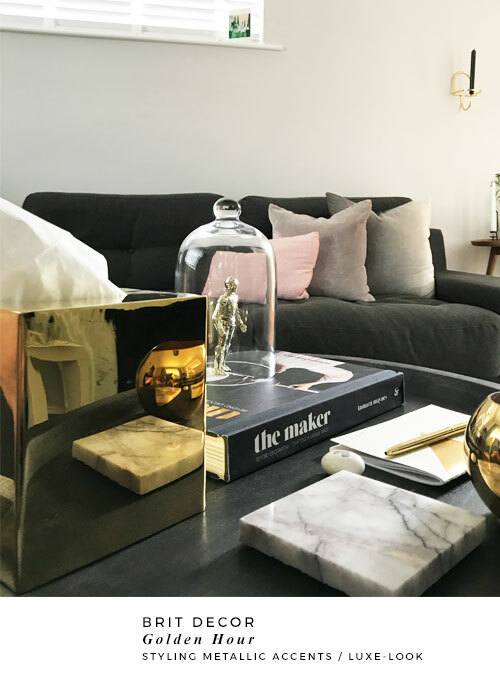 This weekend's re-vamp was prompted by my latest find - the Nevis polished brass tissue box cover from The London Homeware Company, who also happen to stock an incredible range of designs (click here). 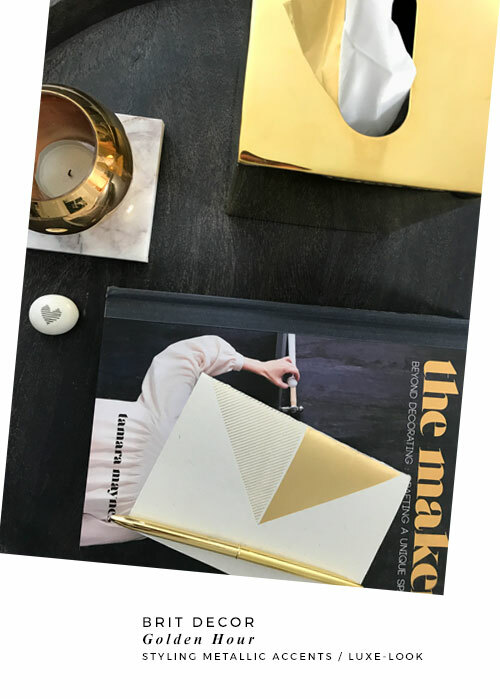 Lately I have been lapping up the current trend for shiny metallics like a magpie on heat, and I simply couldn't resist the high-sheen reflective surfaces of this luxe-look tissue box! Like many materials, I find that grouping several 'finds' together delivers a powerful statement and creates a more interesting composition. 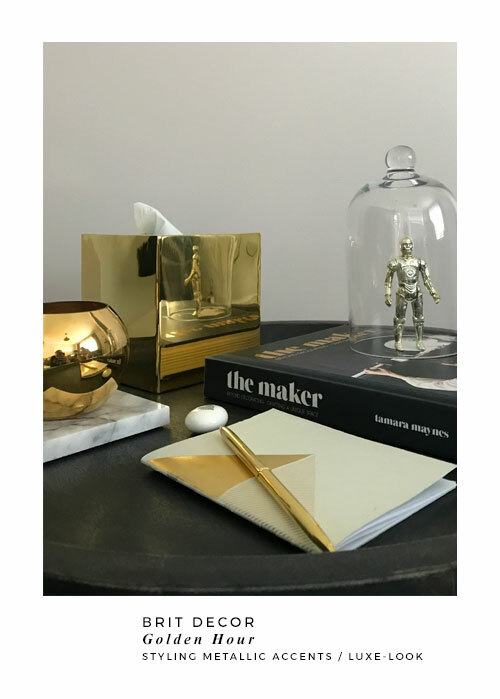 Here I've added other shiny metallics, including my vintage C-3PO, for some retro fun, and my latest coffee tabletop book, The Maker (a cherished Birthday gift from one of my besties, Cath). Suddenly our living room has taken a luxurious turn and I love it!